One Dead, Two Injured Following A Crash Near SW Port St. Lucie Boulevard and SW Cameo Boulevard | Schuler, Halvorson, Weisser, Zoeller & Overbeck P.A. One person has died and two others are in critical condition following a crash in Port St. Lucie. 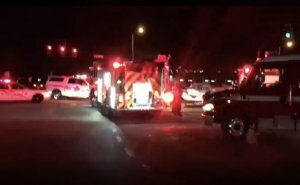 The fiery crash happened after a Mazda and Kia collided near the intersection of SW Port St. Lucie Boulevard and SW Cameo Boulevard, according to police. Police reported that a 25-year-old Stuart man was heading east in the Mazda on SW Port St. Lucie Boulevard when his bumper struck the right side of a westbound Kia which was turning onto Cameo, as he entered the intersection. Traffic investigators said the impact forced both vehicles to spin out of control and the Mazda hit a light pole and electrical box and burst into flames. Traffic lights were green for east and westbound traffic on SW Port St. Lucie Boulevard at the time, police said. An eyewitness pulled the driver from the burning car but he later was pronounced dead at the hospital, police said. The driver and passenger of the Kia were also hospitalized and were last listed in critical condition, according to police. Traffic investigators are continuing to investigate the crash.